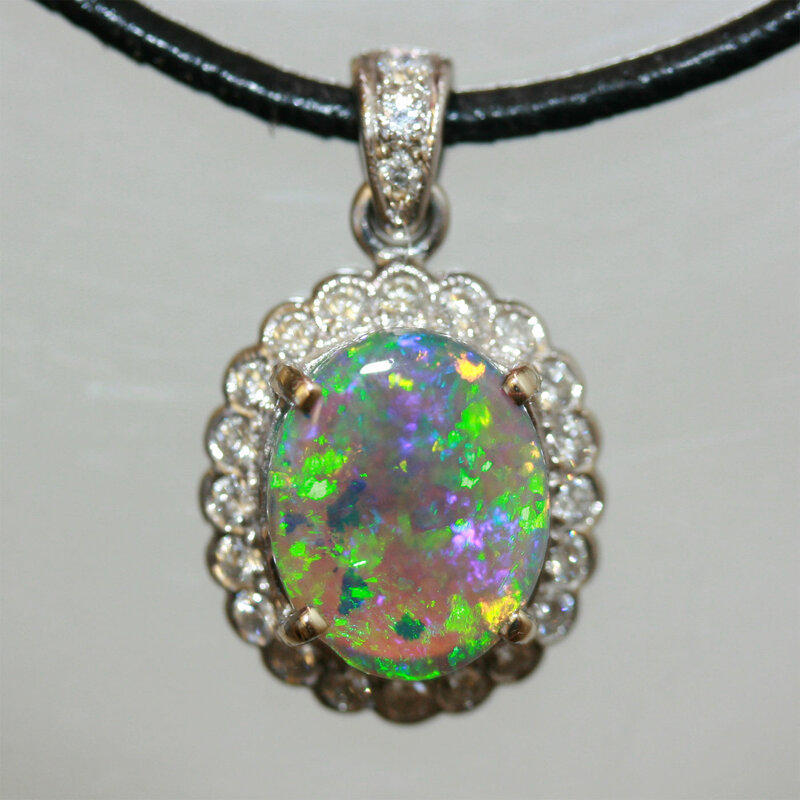 Solid black opal and diamond pendant. Product code: 585 Categories: Sold Items, Sold Jewellery. What a stunning solid black opal from Lightning Ridge – regarded as the producer of the best quality opals in the world, and when you see this, it is very easy to see why. Measurings 2.30cts, the opal is surrounded by 20 round brilliant cut diamonds, and a further 3 on the top giving it a great sparkle. 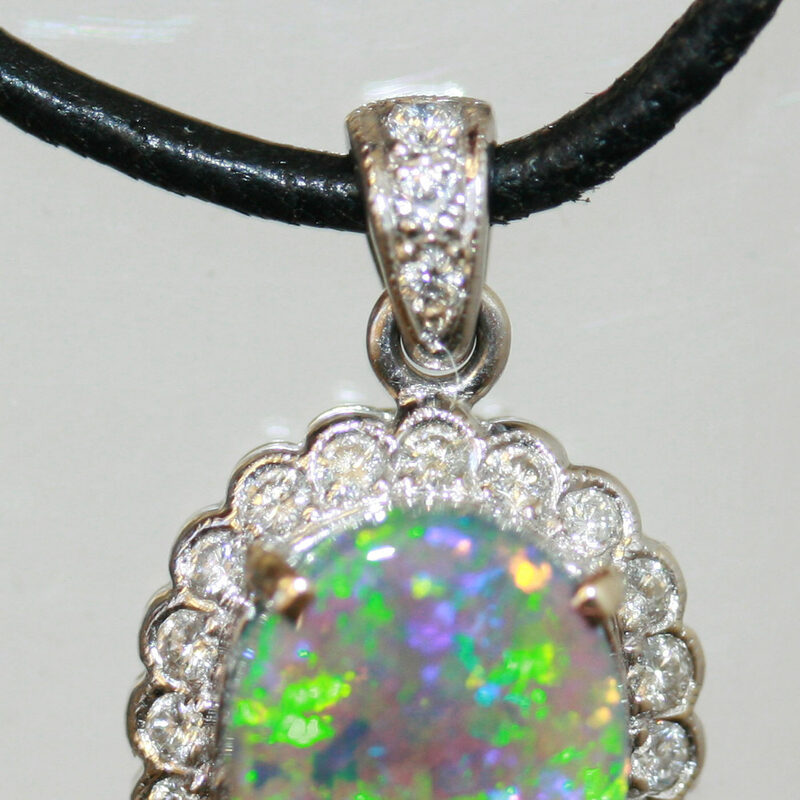 Set in 18ct white gold, this is such a wonderful elegant piece of opal jewellery.